The world is faced with increasing demands for high-quality drinking water and for treatment of municipal, agricultural, and industrial wastewaters. Its high cation exchange capacity (CEC) and surface charge density also makes Zeolite a good option for agricultural operations that need improved wastewater filtration and better control of waste runoff. 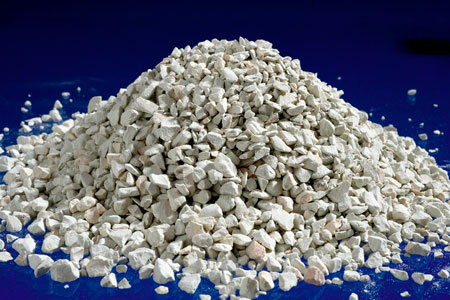 Natural zeolite is one of the best natural materials available for water filtration. Its high porosity and specific surface area combined with its natural cation exchange capacity make it far superior to sand and other minerals used for water filtration. Natural zeolite removes particulate contamination down to 10µm and below, it adsorbs dissolved cations such as Fe, Mn, Cu, Zn, and heavy metals such as Pb and As, and it can remove odours and some organic contaminants from drinking and waste-waters. By retaining and holding nutrients, Zeolite minimizes fertilizer runoff and reduces the introduction of some excess pesticides and herbicides to natural water systems. The most common cation in waters potentially affecting human and animal health is ammonia which can be removed by exchange with biologically acceptable cations such as K+, Mg2+, Ca2+ and Na+ residing on the exchange sites of Ina Zeolite. Because Zeolite has a high selectivity for ammonia in solution (converted to ammonium when it reacts with water), it may, depending on flow rates and zeolite volumes and loading, reduce the ammonia content of wastewater by 95%, thereby reducing the release of excess levels of ammonium and inhibiting the growth of algae and the depletion of oxygen. Zeolite is used as a method of improving waste water treatment operations, effluent discharge quality and in producing a higher value sludge product for agricultural applications. Zeolite may bring properties of improved settling, water clarification, ammonia and base metal adsorption, odor control and other attributes.